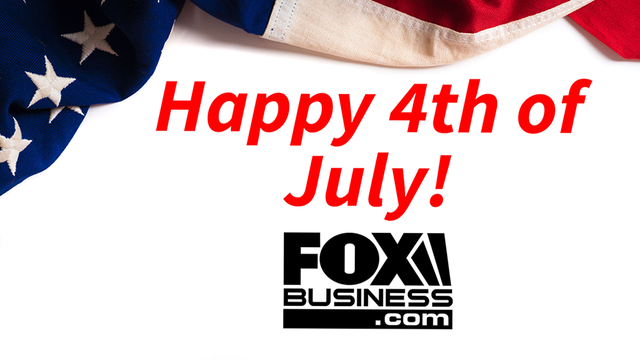 FOXBusiness.com breaks down the numbers of Independence Day. Every Independence Day, families across America fire up their grills, light sparklers, and don their red, white, and blue in celebration of the nation’s freedom, heating up the U.S. economy in the process. This July 4th, consumers will spend an average of $71.34 per household on food for barbecues and picnics, contributing to a nationwide total of $6.8 billion spent on holiday celebrations. This is up 1.4% from last year, according to the National Retail Federation. Over 22.8 million cases of beer were sold in 2014 during Fourth of July weekend, including two million cases of craft beer, according to IRI Infoscan data. These numbers are expected to shoot even higher in 2016, due in part to a marketing campaign by Anheuser-Busch (NYSE:BUD). The beverage company is replacing the word ‘Budweiser’ with ‘America’ on its 12 oz. bottles and cans throughout the summer until Election Day. Americans enjoy an estimated 150 million hot dogs on the 4th, enough to span D.C. to L.A. over five times. In peak hot dog season, which stretches from Memorial Day to Labor Day, Americans typically consume 7 billion hot dogs, making for 818 hot dogs consumed every second. Contributing to these figures are the 20 participants in Nathan’s Hot Dog Eating Contest (NASDAQ:NATH), which occurs on New York’s Coney Island every July 4th. The current world record holder is Joey Chestnut, who ate 69 hot dogs in 10 minutes in 2013. That adds up to a whopping 20,010 calories, 1,173 grams of fat and 48,990 milligrams of sodium. The nation’s largest pyrotechnic display is Macy’s (NYSE:M) 4th of July Fireworks in New York City, consisting of over 56,000 effects and celebrating its 40th Anniversary this year. The city expects 3 million people will watch this year’s show. Overall, IBISWorld expects retail sales of consumer fireworks to reach $710 million during this holiday season. Waving an American flag is the ultimate show of patriotism but a surprising number of these flags are actually made outside the United States. In 2015, the U.S. imported $4.4 million worth of American flags, almost 98% of which were manufactured in China.